South Africa is one of 17 mega-diverse countries on the planet, home to three biodiversity hotspots and almost 15% of known coastal and marine species. 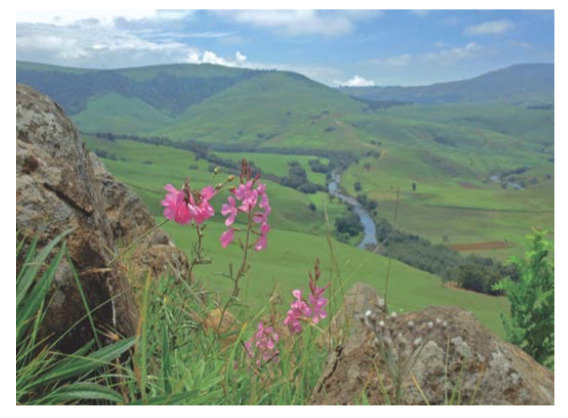 Over the last decade, South Africa has incorporated biodiversity information into spatial and development planning, and created a national strategy for expanding protected areas to conserve biodiversity and promote ecosystem resilience. Biodiversity sector plans, which include maps of critical biodiversity areas and ecosystem support areas, are being used in seven of the country’s nine provinces. These plans are designed to guide land-use planning and decision-making by all sectors that impact biodiversity such as housing, agriculture, conservation and industry. Systematic biodiversity planning has also been used to map 44 important areas that capture the full range of South Africa’s biodiversity patterns and ecological processes and could form the basis for expansion of the country’s protected estate. In some provinces and districts there has been significant progress in making the transition from having plans in place to actually implementing them on the ground, resulting in the real integration of biodiversity and climate change adaptation priorities into the policies, programs and day-to-day work of other sectors. However, these are not recognized as pressing national priorities, and compete for resources with many other development challenges. The lesson is that having state-of-the-art biodiversity planning products in place does not guarantee that they will be effectively used to guide appropriate development or wise biodiversity management; for this, more active capacity building efforts are required for land-use planners, decision-makers, scientists, NGOs and other implementers.